It’s great having these files available within the program, but what if I needed to send them to a client – imagine if you could automatically attach the glossy venue brochure to the quotation or the user manual & safety instructions to that dry hire delivery note or even copies of the crew’s passports to the travel agent arranging the flights – all of these can be easily achieved using the Smart Documents feature. Here, within the Inventory Book, we have attached a copy of the User Instructions to our “1/2 Ton High Speed Motor with 120′ chain piece of equipment” – the document is attached to the equipment definition and the document type has been set to “User Guides”. When we now generate a report for the customer, in this case a quotation, HireTrack NX will prompt us to include any document types that are appropriate. 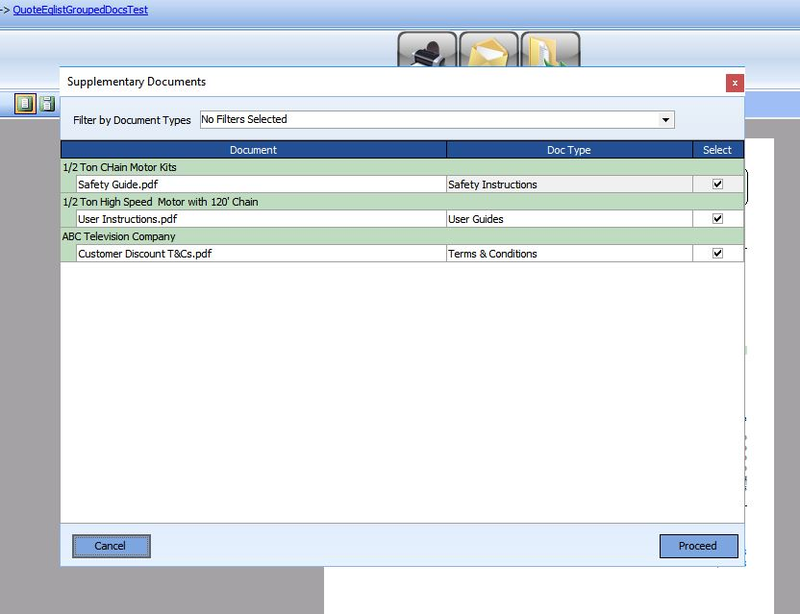 In this example, the report template designer has configured that Safety Instructions, User Guides and Terms & Conditions should be available and the user can easily select which documents they want sending to the client. 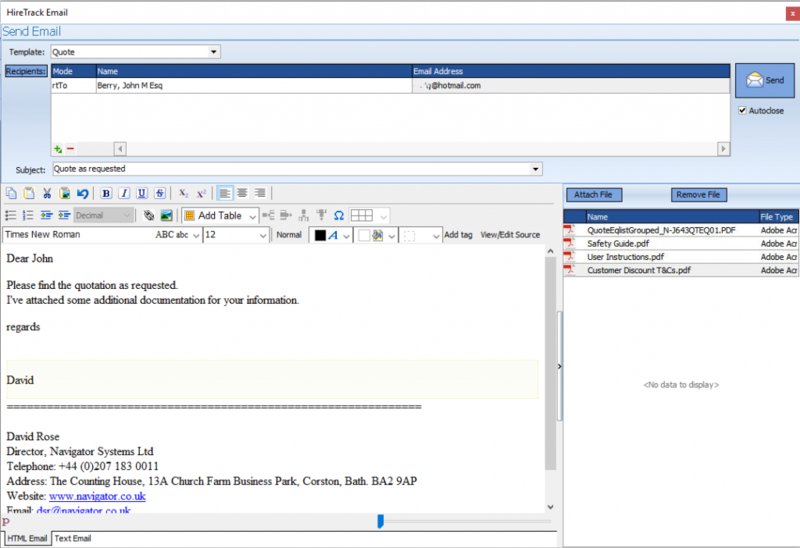 Once the user has selected which documents they desire, those documents will be bound to the report, whether it’s then printed or emailed. If you are an existing HireTrack NX user, then this knowledgebase article will give you further information on how to configure your system for this feature.